Not really a planned outfit post but this is a personal style blog right... And I think it's important to snap pics when I can of what I'm wearing on any given day, so I'm going to start doing this a lot more. When it's 8,000 degrees out it's really hard to want to wear more than a sun dress or shorts and a tank but I thought this is a good example of how I choose to do it. My day was a little more action packed than anticipated. A few early meetings and a lunch meeting, and hustling around in the heat is always such a joy (side eye). In cooler months it's easy to toss a blazer over an otherwise very casual outfit i.e. jeans and a t-shirt and look really polished. But when it's hot as hades, what do you do? 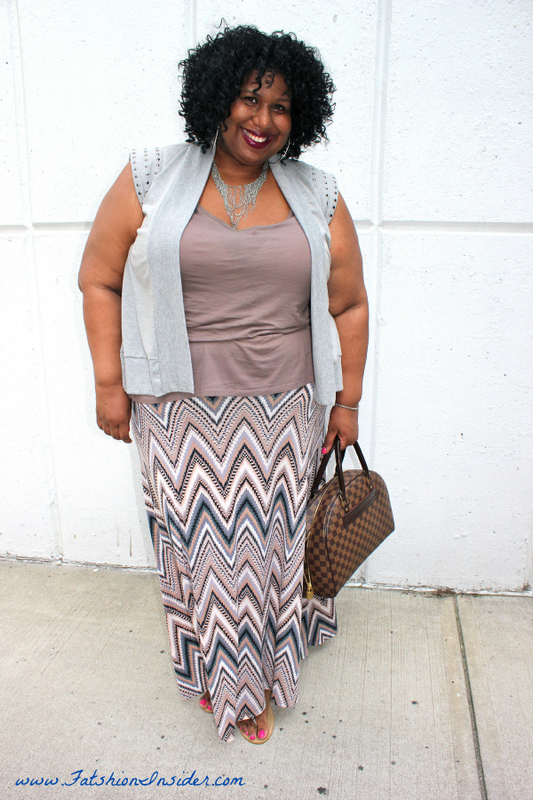 I opted to layer this studded vest over a tank and paired it with a printed maxi skirt. 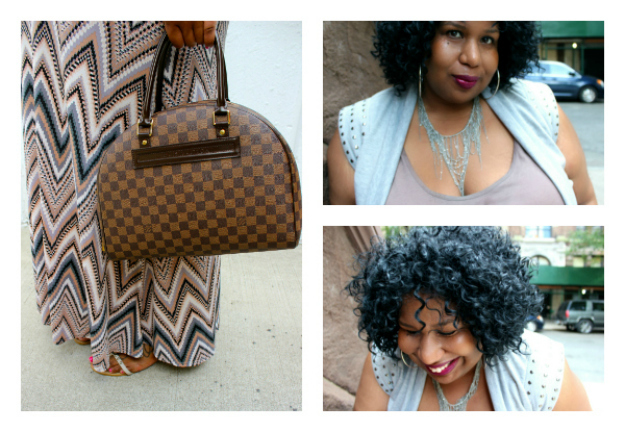 Nothing major, just what I wore today.